Sean B. Carroll, an award-winning scientist, writer, educator, and film producer, will give a free public lecture at UC Santa Cruz on Thursday, May 10, at 7 p.m. in the Music Center Recital Hall. An internationally recognized evolutionary biologist, Carroll is vice president for science education at the Howard Hughes Medical Institute (HHMI) and the Allan Wilson Professor of Molecular Biology and Genetics at the University of Wisconsin, Madison. He is the author of several books, most recently The Serengeti Rules: The Quest to Discover How Life Works and Why It Matters. 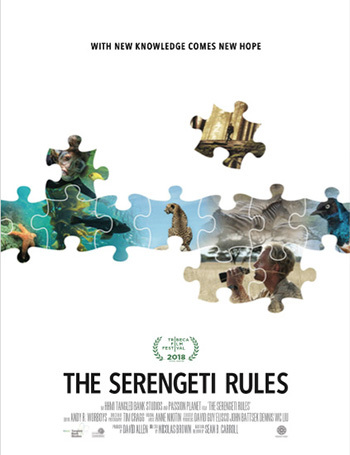 A film based on the book, also called The Serengeti Rules, premiered at the 2018 Tribeca Film Festival and will be screened at the Rio Theater in Santa Cruz on Friday, May 11, at 7 p.m. Admission is free; register online to reserve seats. Carroll’s talk on May 10, "Butterfly Spots and Rattlesnake Tales," is the 2018 Robert L. Sinsheimer Distinguished Lecture, sponsored by the Department of Molecular, Cell, and Developmental Biology. Carroll will address one of the central questions of evolution, the origin of novelty. His laboratory has been focused on the genetic mechanisms underlying the evolution of animal form and, more recently, on biochemical novelties such as the evolution of snake venom. While the general mechanisms involved are distinct, he says, a common lesson from these two pursuits has been to expect the unexpected in biology. In The Serengeti Rules, Carroll told the stories of pioneering scientists who sought the answers to fundamental questions about how biological systems are regulated, from the human body to vast ecosystems like the Serengeti. The film version of The Serengeti Rules, directed by Emmy and BAFTA award-winning filmmaker Nicolas Brown, focuses on a handful of young scientists who, beginning in the 1960s, ventured into wild areas from the tropics to the Arctic, driven by their curiosity about how nature works. UC Santa Cruz ecologist James Estes, professor of ecology and evolutionary biology, is among the scientists featured in the film. Ultimately, their investigations revealed a set of "rules" that govern all life on Earth. Now in the twilight of their eminent careers, these five unsung heroes of modern ecology share the stories of their adventures, reveal how their pioneering work flipped our view of nature on its head, and give us a chance to reimagine the world as it could and should be. Carroll has served as executive producer or executive in charge of several feature documentary films or series including The Farthest (2017), Amazon Adventure (2017), The Lucky Specials (2017), Spillover: Zika, Ebola & Beyond (2016), Mass Extinction: Life at the Brink (2014) and Your Inner Fish (2014), as well as approximately twenty short films. In addition to The Serengeti Rules, Carroll's popular books include Brave Genius: A Scientist, A Philosopher, and Their Daring Adventures from the French Resistance to the Nobel Prize; Remarkable Creatures: Epic Adventures in the Search for the Origins of Species, which was a finalist for the 2009 National Book Award for non-fiction; and Endless Forms Most Beautiful: The New Science of Evo Devo. Carroll received Rockefeller University's Lewis Thomas Prize for Writing About Science in 2016. 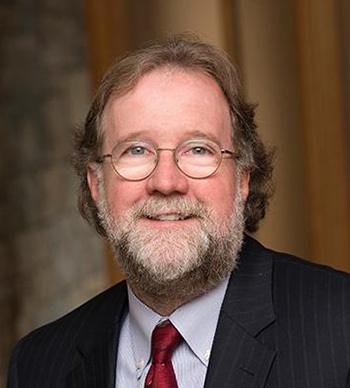 For his educational contributions, Carroll has received the Stephen Jay Gould Prize for the advancement of the public understanding of evolution from the Society for the Study of Evolution, the Distinguished Service Award of the National Association of Biology Teachers, and the Viktor Hamburger Outstanding Educator Award from the Society for Developmental Biology. In recognition of his scientific contributions, Carroll has received the Benjamin Franklin Medal in Life Sciences, been elected to the National Academy of Sciences and the American Philosophical Society, and named a fellow of the American Academy of Arts and Sciences and the American Association for the Advancement of Science. Additional information about the Sinsheimer Distinguished Lecture is available online at events.ucsc.edu/event/4932.